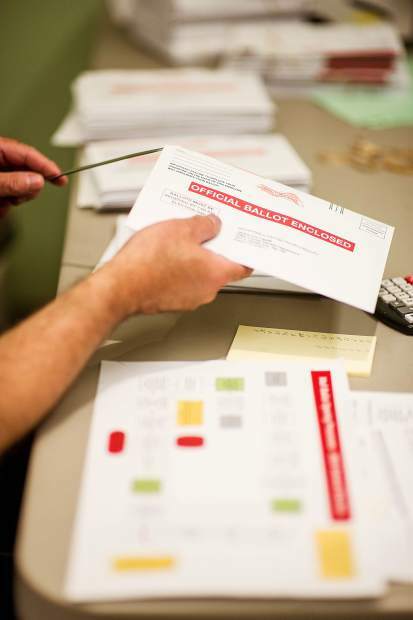 Volunteers aid in the mail in ballot process at the Pitkin County Clerk and Recorder's Office. 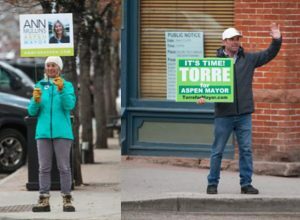 Election 2019 is on the minds of some Aspenites now that the majority of voters chose to change the date of picking who serves on City Council to March instead of May. Candidates are emerging for three open seats on council this spring, with nomination petitions being available beginning in less than three weeks. Councilman Adam Frisch confirmed Wednesday that he will be running for mayor. Beyond that, however, Frisch said he is running because he still has work to do on the local affordable-housing program, among other issues facing the town, including the city’s perceived problems in effectively communicating with its residents. “I want to ensure that (affordable housing) stays the most important thing in our community,” he said, adding how the program is governed and dealing with deficits in homeowner association capital reserves remain at the forefront. He said he’d also like fewer construction projects impeding residents’ quality of life in the offseasons. “Housing, humility and no cones,” he said of his early campaign. Councilwoman Ann Mullins said she is considering a mayoral bid but said she wants to talk it over with family first and will make an announcement after the Thanksgiving holiday weekend. Frisch’s seat will be open in June. He is finishing his second term and is term-limited after eight years as a councilman. Mullins has two years left on her term and would be term-limited after that. Skippy Mesirow — who championed moving the election date from the first Tuesday in May to the first Tuesday in March based on the argument that more people are in town during the high season — said Wednesday he is considering a run for council but isn’t sure yet. He ran unsuccessfully for a council seat in the spring of 2017. Aspen Mayor Steve Skadron, who has served three consecutive two-year terms, is term-limited this spring. He, along with his fellow council members whose terms are up next year, will serve until June, despite that council members will be elected in March. 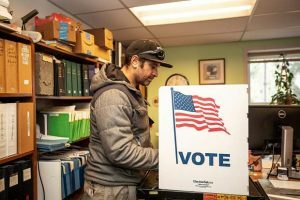 City Attorney Jim True explained that those elected next year will serve shorter four-year and two-year terms — by two months — because of the election date change. 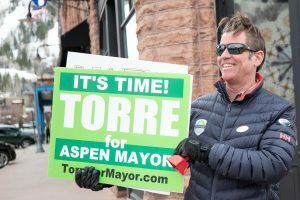 He also said it is very likely city voters will be deciding during the March 5 election the future development of Aspen Mountain’s west side. 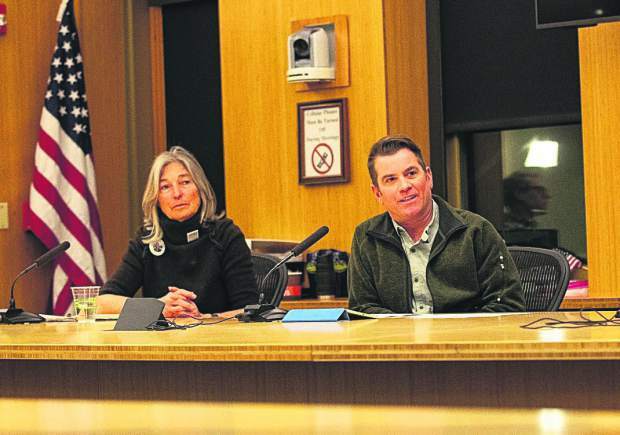 A public vote will be triggered because two developers are proposing variances to the land-use code and a portion of the new chairlift corridor will be on city land currently designated as open space. Aspen City Council is in the middle of reviewing land-use applications by developers behind the Lift One Lodge and the Gorsuch Haus. If council approves them by mid-January, it will go to the voters in March. “We are looking at two ordinances in one question,” True said. The deadline for council to put a question on the ballot is Jan. 14. Referendums and citizen-led initiatives are due by Dec. 12. Candidates can pick up their nomination petitions starting Dec. 4 and they must be returned by Dec. 26. 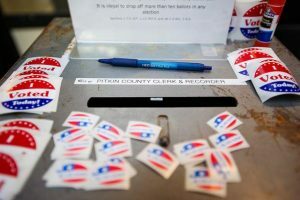 Frisch said while he supported changing the election date in an effort to get more participation and prop up the local democratic process, campaigning during the dead of winter and the height of season will pose challenges that spring offseason stumping did not. He said he expects fewer candidates to turn out for council because they will be busy working during ski and tourism season.